Hi friends! 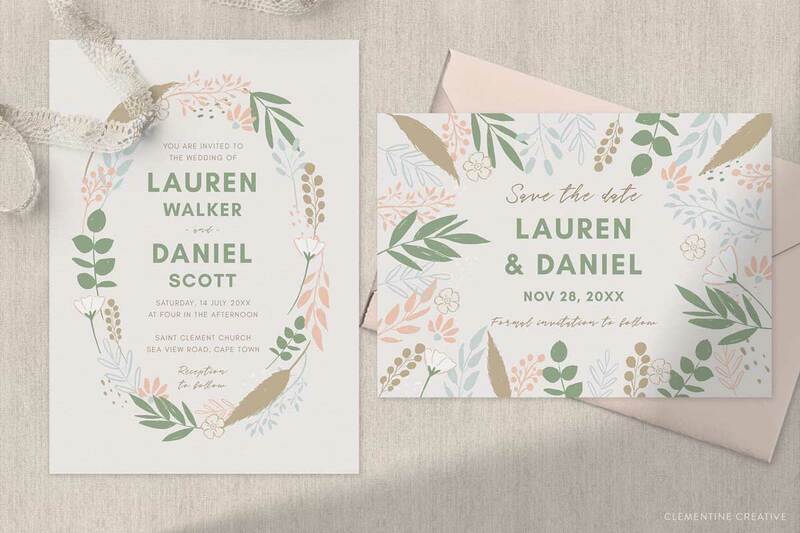 I just published my first wedding invitation templates of the year: the Sweet Wreath Wedding Invitation Suite. 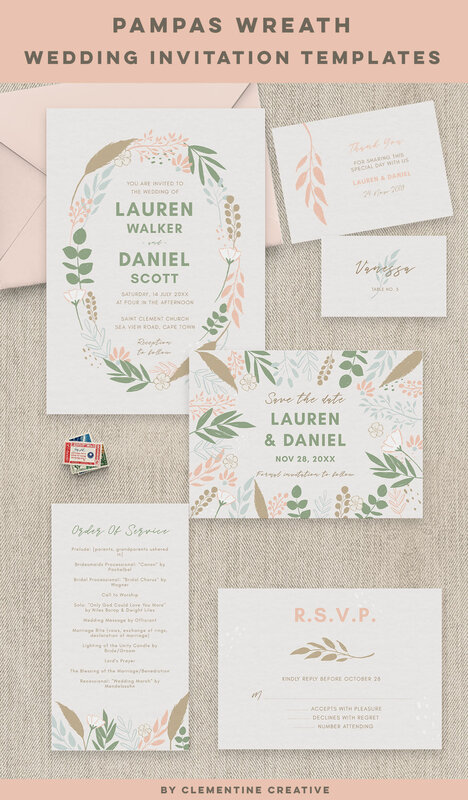 This set was inspired by the pampas grass wedding trend we’ve been seeing on Pinterest. I drew the leaves, grass and flowers by hand using my Apple Pencil, iPad and the Procreate app. This set is currently available in my Creative Market store as Adobe Illustrator files (.AI), .EPS files and .PNG files. If you don’t own Adobe Illustrator you can use the PNG files and add your own text in a free program like Canva, PicMonkey, etc. The PNG files only contain the artwork and no text. The AI and EPS files contain the artwork and text so you can easily make changes to the colours and fonts.